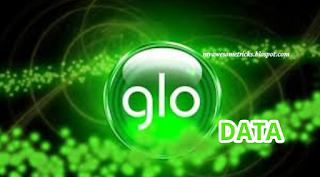 GLO added new data service called 4G-Lite to provide better internet service to their customer. 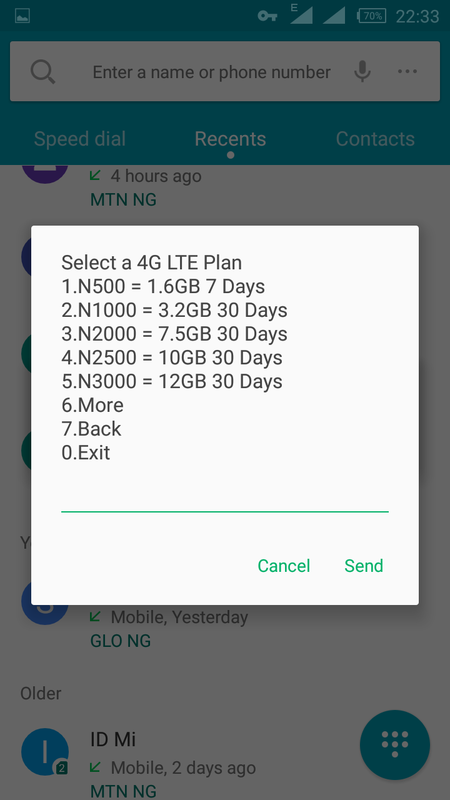 You can now get 3.2G data for just the same #1000 instead of 2G that was sold before, which mean an extra 1.2G have been added which allow you to enjoy internet for longer period. 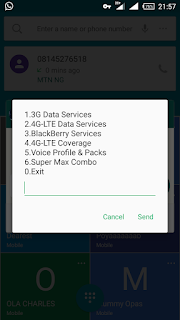 4G-Lite data service is another added service as I said earlier which enable you to enjoy better internet speed on your device, it only support 4G network on your device. In my conversation with customer care service, you need to get 4G-Lite sim card that doesn't mean your old sim is useless, you can swap your old sim card number with the new 4G-Lite sim card which can be done in any GLO office closer to you. 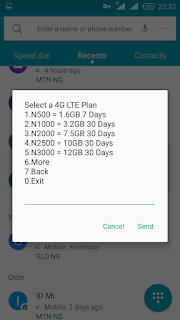 How to buy 4G-Lite data service from your device. ==Dial *777# on your phone and follow the steps. 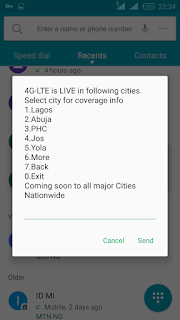 Note: 4G-Lite data service is yet to cover all the state so you need to check or confirm if it has reach your state before rushing into it. 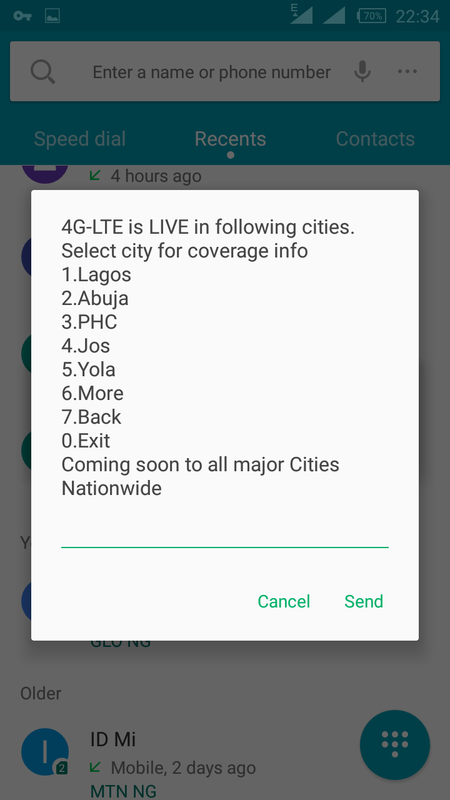 select 4 to check coverage. 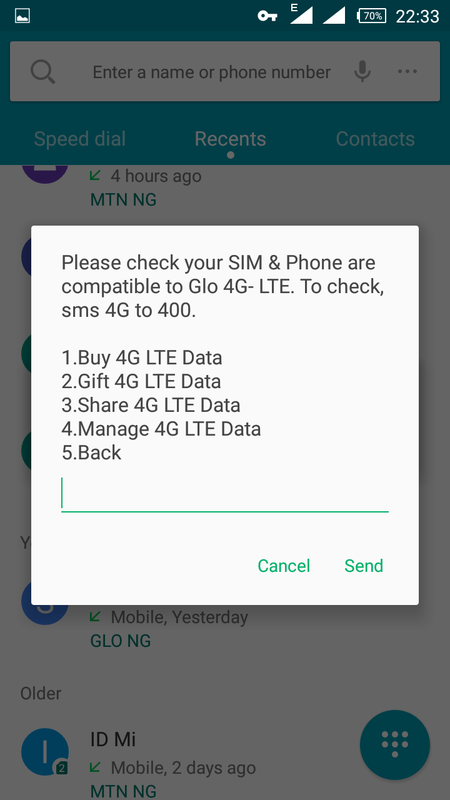 Also you can send 4G to 400 via SMS to check if your sim and phone is compatible with 4G-Lite. Dial *777# , select 2 and then select 4 to check your data balance. GLO is back and better keep rocking with glo fast data service.